FranceWales have made four changes to their side to face France on Saturday with George North, Samson Lee, Luke Charteris and Scott Baldwin all coming into the starting XV. 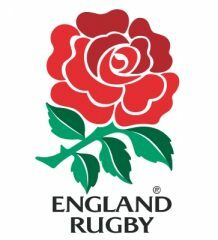 Charteris and Baldwin are promoted from replacement roles in the victory over Scotland to start in Paris whilst North and Lee return to the side after missing the second RBS 6 Nations encounter. Baldwin and Lee join Gethin Jenkins to re-form the front-row that started in November’s victory against South Africa. Charteris, who has featured from the bench in the opening two matches of the Championship, starts alongside Alun Wyn Jones. The back-row remains unchanged with Dan Lydiate and Taulupe Faletau lining up with captain Sam Warburton (who equals Ryan Jones’ record of 33 matches as captain of Wales). Rhys Webb and Dan Biggar continue their partnership at half-back with Jamie Roberts and Jonathan Davies named in the midfield. North comes into the back-three to join Liam Williams and Leigh Halfpenny. “We have made some tough calls and there were some tight decisions but it is a very strong team we are putting out,” said Wales Head Coach Warren Gatland. “We have a lot of strength in depth at second-row, it is a chance for Luke Charteris to get a start and we have been impressed with Bradley Davies as well. It is nothing against Jake but we have a lot of strength in depth and it’s an opportunity to see the other two. “It’s a chance for Scott Baldwin to start as well, the last time he started he went well in the victory over South Africa. It is great to have Samson back available and it was a tough call in the back-three but we have decided to go with Liam and George. Richard Hibbard, Paul James and Aaron Jarvis are named as the front-row contingent on the bench with Bradley Davies and Justin Tipuric completing the forwards. Mike Phillips, Rhys Priestland and Scott Williams will provide the backline cover. 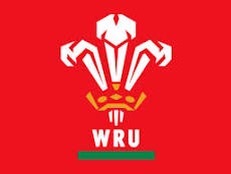 Replacements: Richard Hibbard (Gloucester), Paul James (Bath), Aaron Jarvis (Ospreys), Bradley Davies (Wasps), Justin Tipuric (Ospreys), Mike Phillips (Racing Metro), Rhys Priestland (Scarlets), Scott Williams (Scarlets).